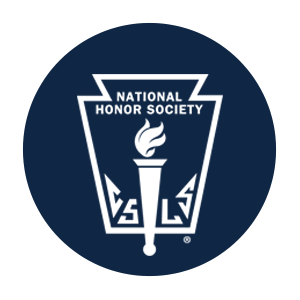 The National Honor Society at James A. Garfield High School is a very honorable club that currently has 17 members. The executive council are seniors: Katie Synnestvedt, Derek Miller, Mikayla Thornton, and Theresa Paroff. Every member will perform at least ten hours of volunteering throughout the year. The National Honor Society holds a large service project and other small projects that will benefit the school and the community. One of these service projects is raising money to install a railing at our school. The railing is to be installed next to the walkway leading down into the event entrance. The railing will help ensure everyone’s safety when entering the school. Not having a railing there can be very hazardous in the winter months, due to it being icy conditions. This will help people walk down the ramp with no problem. The National Honor Society had decided to take this on as their service project this year. We have already raised enough money to cover materials and installation. We were able to raise two thousand dollars in just two weeks. We raised the money by planning a bake sale and asking for donations for our cause. The bake sale earned us over four-hundred dollars while the rest of the money came from donations which we extremely appreciate. The National Honor Society even has money left over to go towards other projects in the spring like cleaning up and around ditches. The railing will be installed before the end of the school year. In the meantime, our induction ceremony for the new members of the National Honor Society will be coming up soon. We are very excited to have the new inductees to join our society.